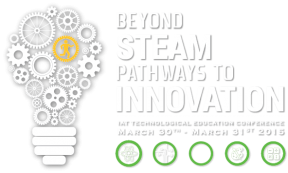 This year's conference will bring attention to transforming the way STEAM (Science, Technology, Engineering, Art and Math) is taught in schools with particular focus on expanding the learning experience of students. The conference will explore the latest pedagogical trends that inspire inquiry, investigation, and innovation in the classroom. In addition, the conference will provide training and professional development for teachers, and will create the stimulus for raising teaching standards nationally, with specific focus on STEAM. Teaching methodologies will be presented that help to advance learners beyond STEAM education to pathways that inspire innovation. In addition, All Prints is sponsoring extra workshops for the Ministry of Education by Michael A. DiSpezio stressing STEM activities in light and sound, STEM - a Landscape for Meaningful Learning, STEM Activities in Force and Motion. He will be also presenting at the All Prints booth from Sunday 29th of March 2015 to Wednesday 1st of April 2015 at the Medical & Health Science Colleges, University of Sharjah. Michael is a renaissance educator, speaker, TV host and science education author. A former marine biologist, Michael completed his graduate studies at the Marine Biological Lab at Woods Hole and worked as a research assistant to a Nobel prize winner in chemistry. Leaving the laboratory, he celebrated his passion in education as a K-12 classroom teacher for nearly ten years. Towards the end of that tenure, he began writing textbooks and was awarded acheter cialis en france his first authorship on a high school chemistry series. Extensive travel has taken him from the Emmys with an award nominated show in children's health to the Bahamas where he developed the Discovery Channel Camp at Atlantis. He has worked on numerous television broadcasts as both writer and onscreen host with organizations that include the National Science Teachers Association, National Geographic, The Discovery Channel, PBS, and the Weather Channel. To date, Michael is the author of over 30 trade books and has co-authorship on over 4 dozen science textbooks including the newly released Science Fusion, a K-8 science series published by Houghton Mifflin Harcourt. He continues to write, develop, and present science and education topics to a global audience.